Through the centuries, God’s people turned away from Him to idolatry. Time after time, they were punished, their homeland taken away; many were killed, many were taken into captivity. 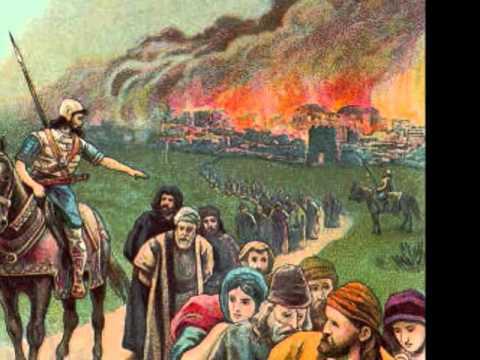 The last great dispersion happened after Rome destroyed Jerusalem in 70 a.d.
Israel did not have a home again until 1948, when Israel gained status as a recognized nation. If you follow current events, you know that most of the surrounding nations today want nothing more than to destroy Israel and wipe all Jews out of existence. There are many today who are returning to the homeland. There are terrible times of persecution and death still to come, but in God’s timing, the remnant that survives the Great Tribulation will return, and they will also return to God. The consumption mentioned is the end of the age, and of God’s dealings with a recalcitrant Israel. No more destruction, death, and terror. Also, the times of the Gentiles will have been fulfilled. The stage is set for the Millenial Kingdom. Righteousness will mark the remnant, and the ages to come. All the remnant of Israel that has been scattered and persecuted by Antichrist will gather in their homeland, and they will not rely any more on their persecutor; instead, the time will finally come when they will turn once again to Jehovah, the Lord, the Holy One of Israel. We had a doozie of a storm yesterday, toward evening.It came on fast, wore itself out fast. We’ve had unusually warm temps for this time of year, but it’s back down to a more normal 33 degrees at this moment. Any tulips that were thinking of pushing through the soil have most likely pulled the covers back up and are catching a few more ZZZZZ’s. As it raged and blew and dumped torrents of water yesterday, I was reminded of Hurricane Sandy that came through 4 1/2 years ago. We just caught the tail end of that one, and still it uprooted huge trees and did a lot of other damage. We really have no control at all over the weather. I love storms, always have. There’s just something about the unleashed power of wind, thunder, lightning, rain, or snow that makes me keenly aware of the mighty God Who governs it all, and reminds us every now and then that we are pretty puny. The King of Assyria’s boasting will come to an end once God has accomplished His purpose. That end will not be pleasant. Isaiah uses two titles to refer to God in verse 16. 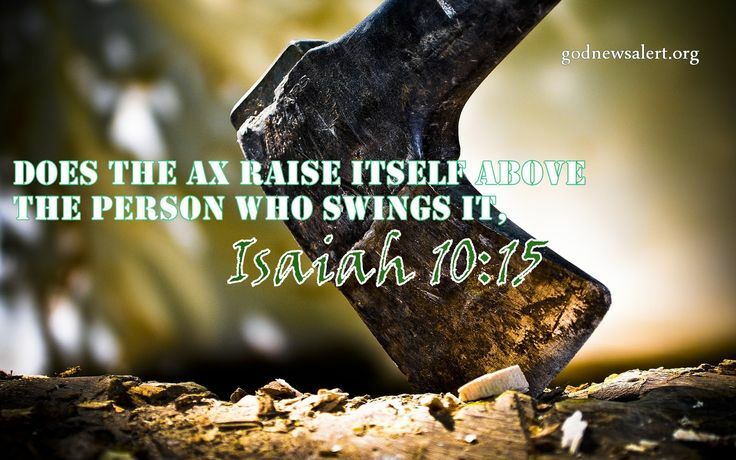 The first is simply the Lord (Ha-Adon), and is used b Isaiah always in connection with the power exerted judicially and penally. The second title, Adonai Sabaoth, “the Lord of Hosts”, is used here only, and indicates His absolute sovereignty over everything and everyone, including Assyria. God is not to be trivialized. He is the Creator and Owner of all things. Those who look on Him with a dismissive attitude will be dealt with harshly. 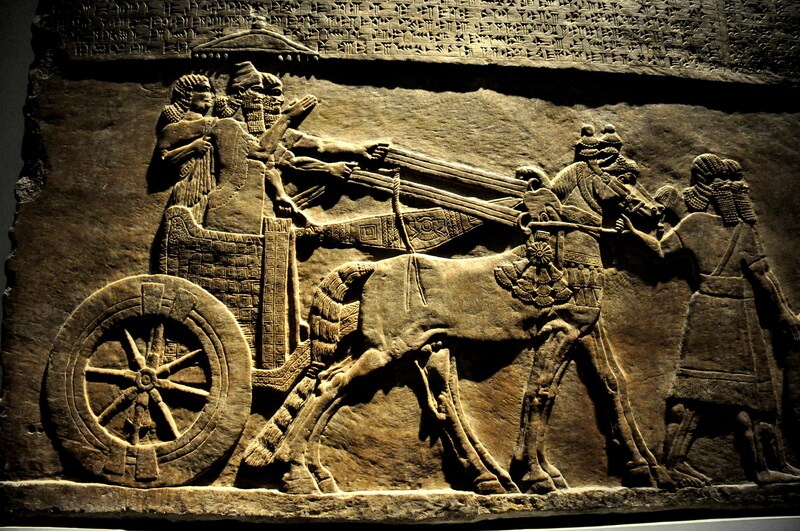 The fat (powerful, wealthy) men of Assyria would become thin with poverty and hunger. In verse 17, God is “The Light of Israel” and “His Holy one.” He would be a consuming fire, making a bonfire of the mighty ones as if they were nothing more than briers and thorns. The armed forces, “the glory of his forest and of his fruitful field,” would be consumed “from the soul even to the flesh,” completely demolished. Verse 19 describes the scattered remnants of the army that march against Jerusalem, so few that a boy could easily count them. The angel of the Lord killed 185,000 of the Assyrian army in one night, and few were left (Is.37:36-38; 2 Kings 19:35). Be Careful, King of Assyria! 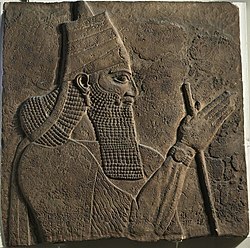 Contrary to his overweening pride and arrogance, the King of Assyria was nothing more than a tool in God’s hand to deal with a disobedient and idolatrous Israel. A tool doesn’t turn on its user. It has no power at all unless someone holds it, directs it, and accomplishes work with it. It is, in fact, no good at all unless it is directed by the hand of the workman. There is a song I love called Unless the Lord is Lifted Up. Its message is clear: There is nothing that really matters unless God is glorified in it. The arrogance of this man is amazing. He brags on himself in the most laudatory terms, likening himself to gathering up the riches of the conquered people like a person would gather eggs from a nest left unprotected by the hen. No one was able to stand against him. He had conquered the whole earth. Others have made similar claims all down through history, and they have all faded into the dim gray halls of human memory. Most of them will spend all eternity in hell because they trusted in their own power more and ignored Jehovah, the Lord of Hosts. The King of Assyria continues to boast of his strength and wisdom in destroying the people of Israel and Judah. He considers himself to be a valiant man, and in his own eyes and the eyes of his own people, he was seen as exactly that. I have considered posting all the verses that boast of this man’s own success all in one day, but I think it’s important that we ponder over what he has to say about himself, never once mentioning that he is nothing more than a tool in the hands of Jehovah. We need to consider our own pride and confidence in ourselves. We really do.